Meter for meter, peatlands store more carbon than any other terrestrial ecosystem. 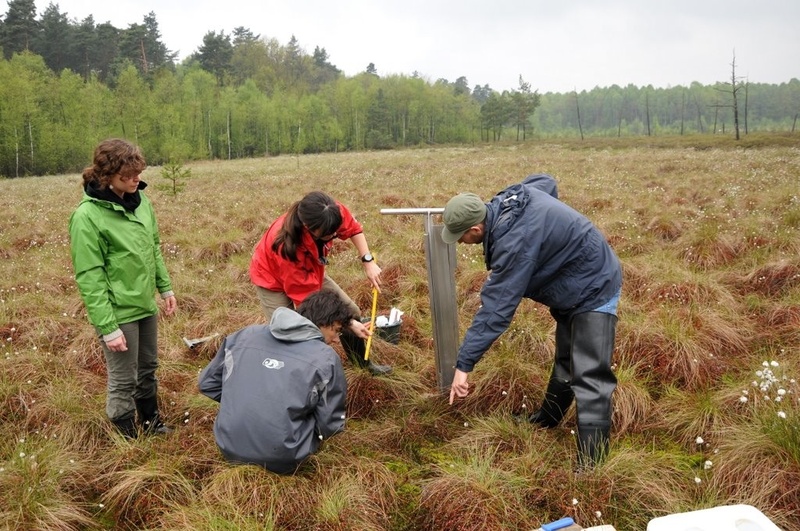 Peatlands also support unique biological communities and provide important ecosystem services such moderating flood risk and removing pollutants. These exceptional ecosystems are threatened by environmental change, particularly climate warming, increased summer drought, and atmospheric deposition of reactive nitrogen (N). Many studies have shown that increased N deposition favours fast-growing species such as grasses at the expense of species adapted to low nutrient levels, including many mosses. It is feared that the elevated N deposition due to intensified agriculture and fossil fuel combustion, together with warmer and drier summers, could favour grasses and shrubs over the characteristic peat-forming Sphagnum moss and specialised plants such as the insectivorous sundew. Beyond compromising the unique biodiversity of these habitats, it would severely impact the ability of peatlands to remove and store atmospheric CO2 by growing and accumulating Sphagnum moss. The aim of PEATBOG was to provide new understanding of both the sensitivity and resilience of peatlands to environmental change, and give meaningful guidance to policy-makers and managers on the risk posed to peatland ecological and functional integrity by air pollution and climate change.